Sriz Beauty Blog: Five Things for #SoftestForBabySkin!!! I am mentioning a few tips which she follows to keep her #SoftestForBabySkin. 1) Good Oil Massage : A good oil massage with oils like almond oil, coconut oil, olive oil before bath is not only necessary for the development of bones and muscles but also for keeping the delicate skin of baby's smooth and soft, as it helps in retaining the essential moisture of the skin and prevents drying of skin. 2) Using Luke Warm water: Using either too cold or too hot water for bath can strip off the moisture from the baby's skin and can cause extreme dryness. 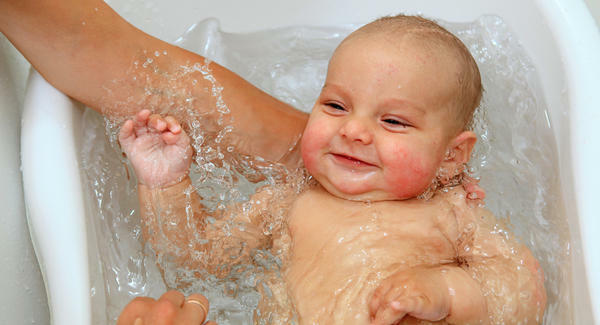 So, using of luke warm water for bathing the baby helps in keeping the skin safe and soft. 3) Using only baby products: The products like soaps, shampoos, moisturizers are different for babies and adults. We should only use products meant for baby's like baby soap, baby shampoo, baby lotion, as they are formulated based on the requirement of the baby needs as well as they are made of safer and harmless ingredients and are paraben free, whereas products meant for adults are made entirely different and can cause harm to the delicate baby's skin. 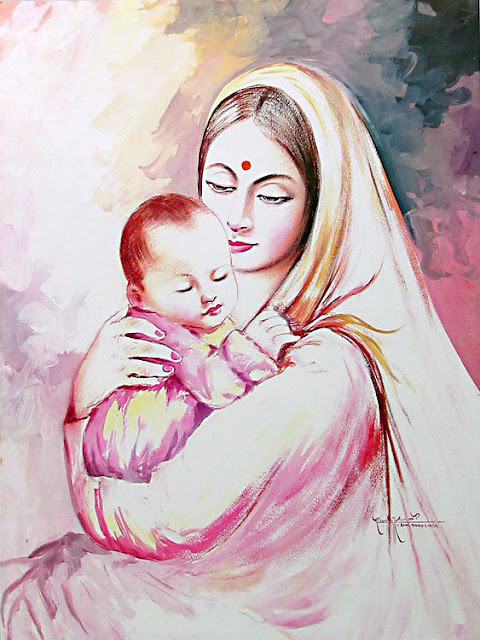 4) Using soft Fabrics: we need to buy smooth and soft clothes made of pure cotton, that too normal basic ones without the any buttons, pins, laces as the clothes with buttons, zips etc., can harm the baby’s skin. Layering the cotton clothes with soft woolen sweaters can help in keeping the baby warm and cozy. 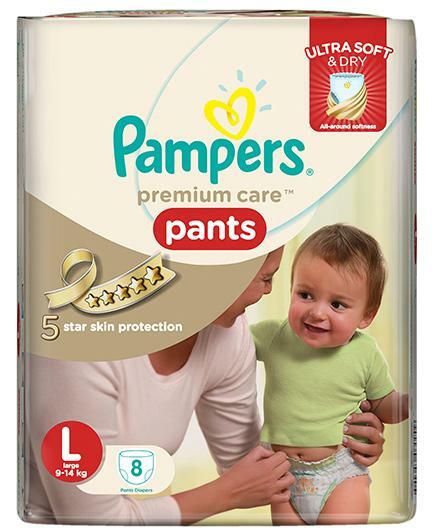 5) Selecting the right Diapers: The most important thing is to select the right diapers like Pampers premium care pants, which are made of cotton and which are soft and smooth, which allows the skin to breathe without causing rashes and irritations. Not only that they also ensure dryness both outside as well as inside too. So, that the baby's soft skin safe!!! So,these are some of the important tips which my friend follows to keep #SoftestForBabySkin!! !